Layla, 3 years old. 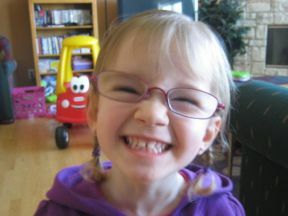 She wears glasses for strabismus and farsightedness. Glasses are Ray bans from Lens crafters.